With Star Trek Into Darkness opening in a month, our partners at Omelete recently sat down with director J.J. Abrams. During the interview, they talked about the character-centric plot, his connection to Star Trek, how he handled the fan-favorite mythology, whether or not he feels accepted by fandom, the challenges of making the sequel versus the original film, re-introducing all of the characters, his penchant for keeping secrets, and more. Hit the jump to watch. 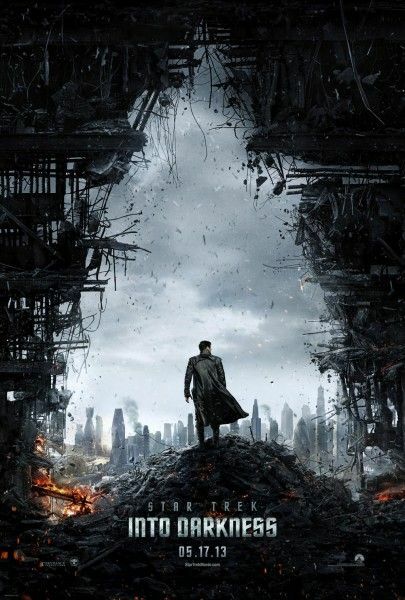 Star Trek Into Darkness stars Chris Pine, Zachary Quinto, Zoe Saldana, Karl Urban, Simon Pegg, Anton Yelchin, John Cho, Bruce Greenwood, Peter Weller, Alice Eve, and Benedict Cumberbatch. The film opens in IMAX 3D on May 15th and in 2D and 3D on May 17th. 0:15 – Talks about the character-centric plot of Star Trek Into Darkness. 0:45 – Comments about his connection to Star Trek and how he handled the fan-favorite mythology. 1:20 – Talks about whether or not he feels accepted by the Star Trek fandom. 2:25 – Comments on the challenges of making the sequel versus the original film, including re-introducing all of the characters. 3:45 – Talks about his penchant for keeping secrets, from Alias to Lost to the last Star Trek movie.